Whether it’s task saturation or overconfidence, the result is the same: a lack of focus that can be fatal to missions, personal dreams, careers, and even lives. Pilots know that threat, and prepare for it as part of their plan. As we’ve explored in earlier posts, they use their checklists, focus on their central indicator and cross-check on the others. There’s another way pilots and some high performance executives remain focused on their objectives at all times…. Without a doubt, the most important way for you to keep focus on your plan is to have a wingman. Literally, two minds, two sets of eyes and ears, looking out for each other. Call it mutual support, call it a double act, call it whatever you want that doesn’t imply a guy in a plane alongside you . . . just have one. Pilots never go anywhere without a wingman. Wingmen check for blind spots and signs of task saturation. It’s all part of their plan. In business, you will have seen the benefits of having two people at a meeting where you can. You hear more things; when one person is listening hard, the other can be preparing; you have more energy in the room; when two people go to a meeting, they are far more likely to plan ahead for it, to consider the threats and contingencies; you can play roles, negotiate better, follow up with more enthusiasm. Many executives have also experienced the benefits of a true working partnership, or at least a very clear and trusted second-in-command or 2IC to take over the reins whenever needed. The U.S.teamwork software company Atlassian is a great example of the benefits of mutual support, with co-founders Scott Farquhar and Mike Cannon- Brookes sharing the CEO role from the firm’s start up days to its 2016 listing on the New York Stock Exchange. They share the workload and the stress of building a business, take the breaks they need, and one of them is always there. Someone who can step in for you whenever needed is just as valuable, eventually, to lead in their own right. Fighter pilots take that strength further. We don’t go anywhere—anywhere— without a wingman. We Don’t fly a mission, we don’t go out at night, and we don’t take on important roles or personal missions without having someone by our side. In our mission teams, wingmen are easily identified. Beyond that, a wingman may be the life partner in your family or our formal business partner. It may equally mean someone who we share experiences with, or someone we work alongside in our work or personal communities. You know each other’s roles and objectives, you know the threats to those objectives, and you know how you can support and rely on each other. So this mutual support is less an action item and more a mindset that people in the team share. It startswith that old friend situational awareness. Yes, there is that mission awareness, about the environment and potential external threats to the mission. But there’s also an awareness about the person you’re supporting: their fears and motivations, critical tasks, and what will make or break them. Without That awareness, you’re an observer rather than a wingman: not a bad thing, but not what’s needed. Wingmen are not always someone physically close. So many people are out there on the road these days—pushing deals, sales, development, investments, research— and it’s especially important for them to have wingmen. For example, truck drivers, couriers, and cabbies typically work solo, on days that can be as frustrating or tiring as they are long. 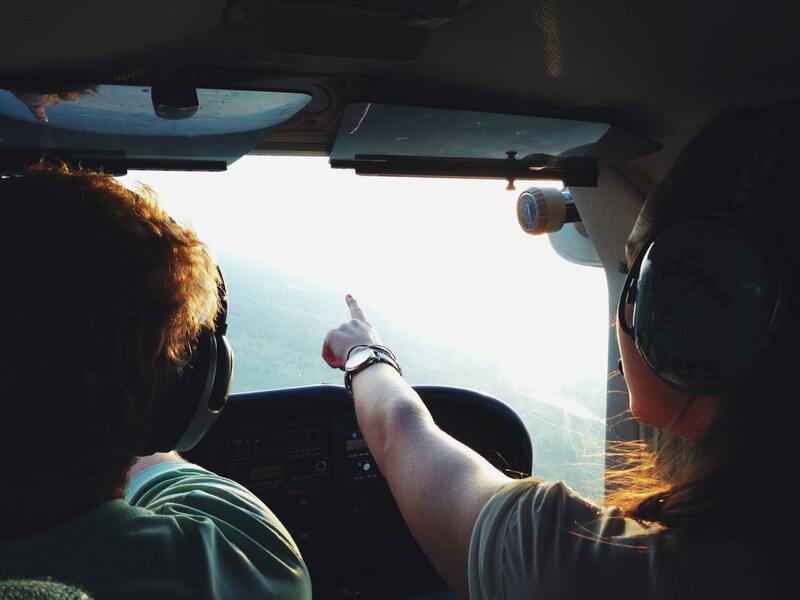 The most natural wingmen for them could be their dispatch operators – the people who know what the drivers are doing (or should be doing) at all times, have the personal skills to check in every now and then with a banter or a more direct question, and the technology to hand to follow the drivers’ progress. The result of this mutual support is more reliable deliveries, happier drivers, and fewer accidents. It’s one thing to be aware of something, another again to say something. The U.S. Coast Guard has studied the causes of 389 marine casualties in 1998–99. In 68 percent of cases, it wasn’t that the critical information wasn’t available or known. It was that either the people who had the information didn’t recognize its importance, and so the need to share it with others, or assumed that the others already had the information. Some call this the ‘common knowledge effect’, so common everyone assumes everyone else knows it, but most are wrong. Overcoming this issue is part of a high performance mindset: don’t be shy in speaking up if you see something that may be a problem. Do you have a wingman?